Who has not had a restless night’s sleep? Everyone does on occasion, but for many, it is an increasingly frequent experience. The typical explanation is the unparalleled distractions of our modern lifestyle. We email compulsively, text our friends at all hours, and binge watch TV. Consequently, our sleep suffers. Studies show that the average amount of sleep that Americans currently get has fallen by between one and two hours each night over the last 60 years. Furthermore, the quality of that sleep has deteriorated. Some research even suggests that our irregular sleep patterns have led to a ‘dream’ deficit that also takes its own individual toll over time. We have long known that there are two fundamental states of sleep and each is regulated by a different part of the brain. Both are necessary for completely recuperative sleep. We have a sleep cycle, called our ‘circadian rhythm,’ which is regulated by our brain and by metabolic cues governed by liver cells. All of these signals work together in a continuous feedback loop which is commonly called our ‘circadian clock’. New information adds a significant to factor to that mix. Our gut microbiome has a surprisingly crucial influence on our circadian sleep-wake cycle and our sleep quality. Experiments confirm that when specific microbes in our gut are altered, our fundamental states of sleep are disrupted. This limits our ability to recover from stress and is necessary to protect against neurological diseases such as dementia. To assist in that recovery process, we now understand that our gut microbiome and our own cells form an active feedback loop and our sleep patterns are part of it. When you plan to get a good night’s sleep, you need to think of it as putting your microbes to bed. Feeding them properly is your best chance for normal recuperative sleep in the midst of our hectic modern lives. Dr. Bill Miller has been a physician in academic and private practice for over 30 years. 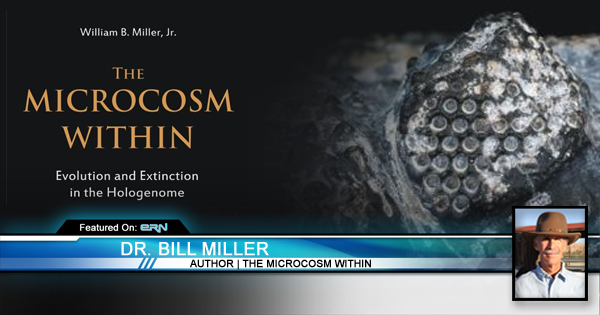 He is the author of The Microcosm Within: Evolution and Extinction in the Hologenome. For more information,www.themicrocosmwithin.com.